Sentencing changes that could see ‘killer’ drivers get life sentences have still not been implemented despite having been announced some eight months ago. 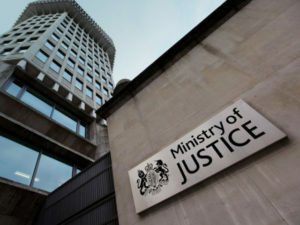 Confirmed by the Government last October following a consultation by the Ministry of Justice, the move would mean that drivers who cause death by speeding, racing, or using a mobile phone could face sentences equivalent to manslaughter, with maximum penalties raised from 14 years to life. However, road safety charity Brake has highlighted that despite repeated questioning in the House of Commons by Bradford South MP Judith Cummins – a vocal campaigner on tackling dangerous driving – the Justice Minister has been unable to say when the tougher sentences would be implemented. Cummins said: “I have continuously campaigned for tougher sentences to help crack down on dangerous driving in my constituency and across the country. But despite repeated questions in parliament, I am yet to receive a satisfactory answer as to the when these vital changes will be brought forward.